Everyone who visits this property comments on the amazing location 5 minutes from everything! Turn right and you have the cinema and a cosy pub on your doorstep along with access to the train station and the top of the high street, turn left and you have views of Winchester Cathedral and St Catherine's Hill as you walk down towards the Wykeham Arms and carry on to the Cathedral and City centre via quiet old streets full of curiosities and history. The property is also close to the courts, hospital and university and a short distance from the train station (10 minutes). 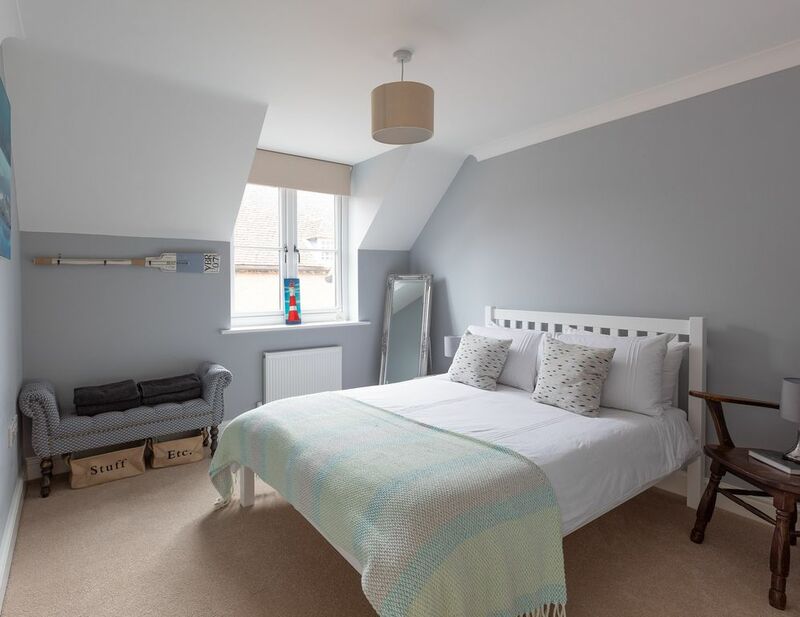 This property is newly refurbished to a high standard throughout and accommodates families and small groups of friends comfortably over three floors with flexible choices on beds. Two bright and cosy bedrooms, lovely open plan well-equipped kitchen & sitting/family room with sofa bed, a bath/shower room, downstairs loo and utility room with washing machine and drying space. Really light and airy, lots of easy to open double-glazed windows and efficient central heating. Comes with Wi-Fi, Samsung Frame TV with Sonos speakers and a coffee maker. Lots of power points throughout the house as well as USB charging sockets. You also get private off-street covered parking for one car, which is as good as gold dust in Winchester. As an experienced traveller myself I know just how important it is that the place you choose meets your expectations and has thoughtful finishing touches. You get everything I would expect from a stay in a 'home away from home' with the extra finesse that makes it a holiday or no-fuss business trip. - Samsung Frame TV with Sonos speaker and wifi connectivity to Netflix and BBC iplayer as well as terrestrial TV. - Lavazza coffee machine, kettle, microwave, Moulinex blender, toaster, dishwasher, oven, induction hob. The bedrooms and bathroom are on the second floor. Clean white linen is provided along with soft towels and additional cosy furnishings. A Spacecot travel cot is also available. - Bijou but it's got a clever bed that can be used as a single or can be converted into a two-level twin or even a king if required (a bit of a squeeze but it works!). See pictures for the different options. I fell in love with Winchester when I first lived here in 2015. We now live between here and the New Forest. It has taken us 3 years to find the right home and now it has just been completely refurbished to a high standard from top to bottom. It's been a labour of love for many people who live in the area and we are all really proud of the result. Parking for one car off street, which is special in this area of the city. The street is just lovely. As soon as you walk outside you get breathtaking views of the cathedral and you walk down the street to one of the best pubs in town and the ancient university streets, it feels like a different world. It's our home part of the time, so it feels cosy and warm with all the things you need to enjoy your stay. The property is a town house with the main accommodation on the first and second floors. Whilst the staircase has a handrail it takes in a number of turns as it ascends which is not suitable for wheelchairs or those who are very heavily reliant on mobility aids. Had a wonderful long weekend at the Christmas market. The house was easy to find, clean/tidy and the communication from the host was brilliant. Was great to be able to park the car off road as we were able to walk everywhere and even to the train station for a trip Southampton. Lovely clean house in a very convenient location. Really helpful host. Thank you for being great guests. Clean, tidy and impeccable manners. I hope you got time to visit the Christmas market before you left. Winchester is located between the south downs and the new forest, both extremely popular outdoor tourist locations for walking and cycling.